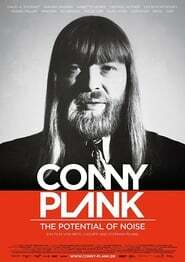 When Conny died at the age of only 47, his son Stephan was just 13 years old. Twenty-five years later, together with co-director Reto Caduff, he went in search of the man he often only experienced behind the mixing desk as a child. At the same time it became the search for the artistic legacy of his father. Filmed between 1999 and 2001, WEST OF THE TRACKS details the gradual decline of Shenyang’s industrial Tiexi district, an area that was once a vibrant example of China’s socialist economy…. Resume from the first season.